On November 14th there will be a free SAT/ACT Combo Practice Test held by Kaplan Test Prep to help students decide between the SAT or ACT. The practice test will be held at Melrose YMCA, 497 Main St., Melrose, MA. Please visit kaptest.com/whichtest or call 1-800-KAP-TEST to sign up today. The Guidance Department will host a breakfast called “College Topics for Senior Parents”. The purpose of this breakfast is so the counseling staff can give a very brief overview of important tasks associated with the college selection and application process. This event is geared for parents that missed the Senior College Planning Night on 10/9/14. Please join us for this informative event on October 22nd at 8:30 AM in the BHS Guidance College and Career Center. Parent's MUST RSVP at 781-270-1780. How will I pick the right college for me? What is the secret to admission to highly selective colleges? What if my SAT or ACT scores are lower than I want them to be? What if I got a C in chemistry…am I doomed? Which activities should I pursue to stand out from the crowd? Why do smart people attend community college? Will I ever be able to afford to go to college, even if I can get in? With only 24 hours in a day, how can I be a high school superstar? Join us for an entertaining, informative, and stress-reducing presentation by a national expert in higher education. This presentation is aimed at students in 8th through 11th grade. Students are encouraged to attend with their parents. Mark Montgomery, Ph.D., is an independent college consultant serving a national and international clientele from offices in Denver, Colorado, Westfield, New Jersey, and Hong Kong, China. As a former college administrator, admissions officer, professor of international relations, and high school teacher of French, Dr. Montgomery brings a wealth of educational experience and perspective to the process of college selection and admission. He speaks to audiences around the world about how to choose the right colleges—and get in. For senior parents that missed College Planning Night hosted by the BHS Guidance Department please tune it to BCAT. College Planning Night will beginning Monday October 20th to Friday October 24th at 6:30 PM, then on Saturday and Sunday 12PM and 6PM. If you would prefer to view this event at another time feel free to watch the streaming video recording at http://www.bcattv.org/programming/video-on-demand/. It’s time once again to help Burlington students looking to further their education by attending a college or university. 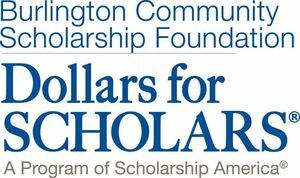 The 20th Annual Burlington Community Scholarship Foundation’s (BCSF) Dollars for Scholars Telethon will be held on Wednesday, Oct. 15 from 6:30 to 8:30 p.m. It will run live on Burlington Cable Access Television’s Education Channel (Comcast – 22, Verizon – 40, RCN – 13). The telethon, hosted by BCSF President Jack Ferren, will featuring three segments – one on education, one with businesses and a third with town officials. The groups come in and give donations and speak about their work. “It’s Burlington on TV,” Ferren explained. Viewers looking to support scholarships for Burlington students will also be given a chance to call in and make a donation. Also, from Tuesday, Oct. 14 to Thursday, Oct. 16, student volunteers will be calling residents to solicit donations to the cause. BCSF, a non profit 501c3e, was founded in 1988 with the mission of helping Burlington residents defray college expenses, Ferren said. Since it began the organization has awarded $8 million in scholarships. In 2013, The BCSF awarded 38 scholarships to high school graduates for a total of $80,000. The Adopt a Class program sponsored by Northern Bank & Trust awarded 28 scholars for a total of $22,500. Also last year, BCSF awarded six scholarships to Burlington Adults who have returned or began school, totaling $12,000. Additionally under the BCSF umbrella the Burlington High School awarded $205,000. “The grand total for 2013 in total scholarship awards collectively with the Burlington Community Scholarship Foundation and BHS program are; 397 individual scholarships totaling $315,000,” the organization’s annual report states. Also in 2013 the organization became part of the Dollars for Scholars National Association, Ferren said. Along with making a donation during the week of the telethon, Burlington residents can also support the foundation when they pay their town real estate tax, excise tax or water bill. Senior College Planning Night was well attended with roughly 125 parents. Many aspects of the college planning and application process were covered. For parents that missed the event, BCAT will stream the event within the next few weeks. Informational packets were distributed to all that attended. If you would like to pick up a packet please feel free to stop by the Guidance Office. Also for parents that missed the event last night we will hold our annual "College Topics for Parents of Seniors" breakfast on October 22nd at 8:30 AM in the BHS Guidance College and Career Center. This informative event will cover the various topics relating to the college selection and application process for parents of Burlington High School seniors. In terms of financial aid, two very important forms were mentioned last night. The FAFSA and the CSS profile. We encourage parents to investigate both applications ASAP. Please remember that the BHS Guidance Department will host a Financial Aid Night on Thursday January 8, 2015 and BHS will be a location this year for FAFSA Day on January 25th. One "new" process this year for seniors and parents to remember is using the Burlington Community Scholarship Foundation Web-site. All seniors should create a profile ASAP. Sophomores and registered juniors taking the PSAT are reminded to bring three sharpened number 2 pencils and a calculator on Wednesday October 15th. Burlington High School has a very limited amount of calculators on hand. Although the math sections can be completed without the aid of a calculator, having one can be very helpful. As a reminder sophomores do NOT need to register for the PSAT, they will automatically take the test. However, Juniors MUST register. The registration deadline is Wednesday, October 8th. On Friday room assignments for juniors will be posted near the caf. and main lobby. Sophomore assignments will be announced in homeroom. Senior Parents and Seniors are reminded that College Planning Night will be held on Thursday October 9th, 2014 at 6:30 in the Burlington High School Auditorium. The evening will cover a variety of topics in regard to the college selection and application process. The entire guidance staff will be at this event and we look forward to seeing you.